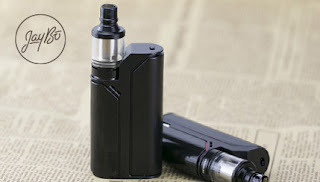 Wismec just released the brand-new Reuleaux RX75 Kit: Reuleaux RX75 with Amor Mini. Reuleaux RX75, designed by Jaybo, inspired by VWT420, is skillfully equipped with dual circuit protection and variable temperature control system. Featuring the unique exterior design, all hidden buttons and multiple fashionable colors, the clear plastic front cover is another highlight of the powerful yet intelligent device. With top e-liquid filling, bottom airflow control and detachable structure, Amor Mini can perfectly match the Reuleaux RX75.